Published Nov 20, 2014 by Peachpit Press. Part of the Learn by Video series. 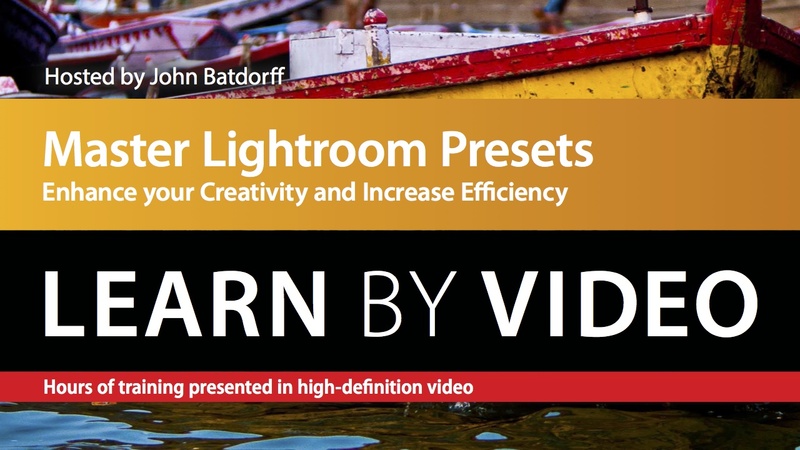 This 2-hour video from author/presenter John Batdorff will cover all the features and benefits of creating and using Lightroom presets from installing and using existing presets, to creating presets from scratch, to backing up and sharing your presets. John will walk the learner through how to build presets and how he uses them as a professional photographer to achieve quality images to create a consistent look or speed up the processing of batch images.